Every second year the SEH-European Congress of Herpetology provides an opportunity for scientists, conservationists and policy makers from Europe and abroad to get together and discuss current results and trends in the field of herpetology. The conference will include four plenary lectures, sessions on specific fields of herpetology, special sessions, workshops, the SEH Ordinary General Meeting and excursions, as well as a rich social programme. The Biscione (the “big snake”) is the symbol of the city of Milan. 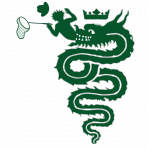 It is a heraldic charge showing a snake in the act of consuming a human. 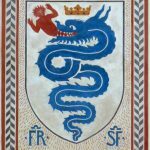 It was the emblem of the Visconti family of Milan from the 11th century, and become the heraldic symbol of Milan when the Visconti gained control over the city in 1277. When the Visconti family died out in the 15th century, the emblem retained its association with the Duchy of Milan. According to the legend Bonifacio, lord of Pavia, was married with Bianca, daughter of the Duke of Milano. While Bonifacio is fighting against the Saracens, his son is kidnapped and devoured by a giant snake. When, coming back from the war, Bonifacio searches the snake, he kills it and finds his son still alive!